Here is the first presentation of Norwegian airports, starting with Oslo Airport. Oslo Airport is the largest airport in Norway, and the 2nd largest airport in Scandinavia, after Kastrup International Airport in Copenhagen. It is located in the fertile region of Romerike, 40 kilometers (30 miles north) of Oslo. Oslo airport is the main hub for international flights to and from Norway, and most of the international travelers may have to change to domestic flights here. The same will those of you traveling to Oslo and Eastern part of Norway. Here you find a list of airlines operating to and from Oslo airport, both domestic and international. 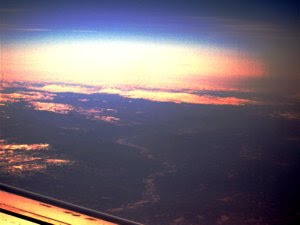 Most international non-stop flights are to European destinations. There are however intercontinental flights operated from Oslo Airport. Pakistan International Airlines (PIA) operate three weekly departures from Oslo to Islamabad. Continental Airlines will from 2008 have daily services to and from Newark International Airport in New York. Norwegian Air Shuttle will move many of its international flights from Oslo Airport to the new Rygge Airport at Moss, 60 kilometers (39 miles) south of Oslo. As Norway is not a member of the European Union, travelers leaving and arriving Oslo Airport may buy duty free goods. At the departure area you have a large shop selling perfumes, liquor, wine and beer at very low prices. You may even buy goods at arrival in a large duty free shop. This requires, however, that you have kept the small receipt left on your boarding card. Without this little token of travel you may shop in vain, even if you are on International arrival. At departure I would like to recommend the shops selling Norwegian food specialties. When being in the duty free shops, I would recommend the Norwegian Akevitt, a hard liquor made from potatoes and flavoured with herbs. 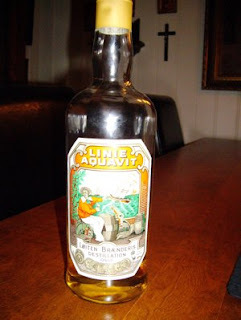 Another great drink is the herbal liquors Faun or Sankt Hallvard. In both international and domestic departure you will find a large number of different bars restaurant to enjoy. For those going abroad I would highly recommend the Seafood bar, serving the best products from the rich seas surrounding Norway. 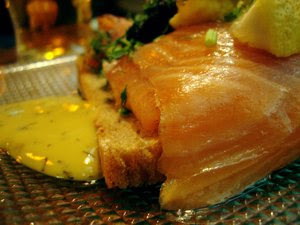 Enjoy smoked salmon or prawns with a glass of dry white wine or a good pint of Norwegian lager. 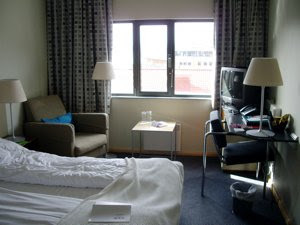 You will find accommodation at different prices around Oslo airport. For those of you with no concern for you credit limit the easiest option is the SAS Radisson Airport Hotel, a business class hotel in walking distance from the terminal building. Most of the other hotels may be reached by buses. The most inexpensive option is the Gardermoen Gjestegård. At the Clarion Hotel you have a large indoor swimming pool area for you to enjoy, a great choice for those arriving during the cold season. There are several ways to travel from and to Oslo Airport. The easiest way is to take the high speed train to Oslo and Asker, that will take you the whole distance to the Norwegian capital in less than 20 minutes. 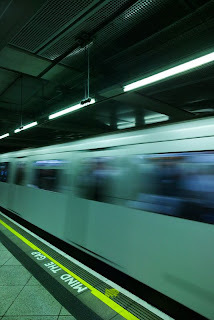 The train end station is Asker, the large suburb east of the capital. But it will cost you. 150 NOK (€19) one way per person to Oslo Central Station. From Oslo Airport you will also have access to the national railway net, southbound to Oslo and on to the other main railway lines and nortbound to Hamar, Lillehammer and Trondheim. There is also airport express buses, a more inexpensive alternative for those of you that have more time.